Whether you're prepping for the bachelorette party, or sipping mimosas at the bridal shower, Kate Aspen's ""I Do Crew"" Stadium Cups bring your crew together! 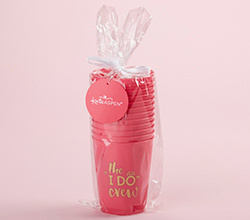 Featuring a gold foil ""I Do Crew"" message on both sides of the cup, these hot pink plastic cups come in sets of 12 to suit bridal parties of all sizes. 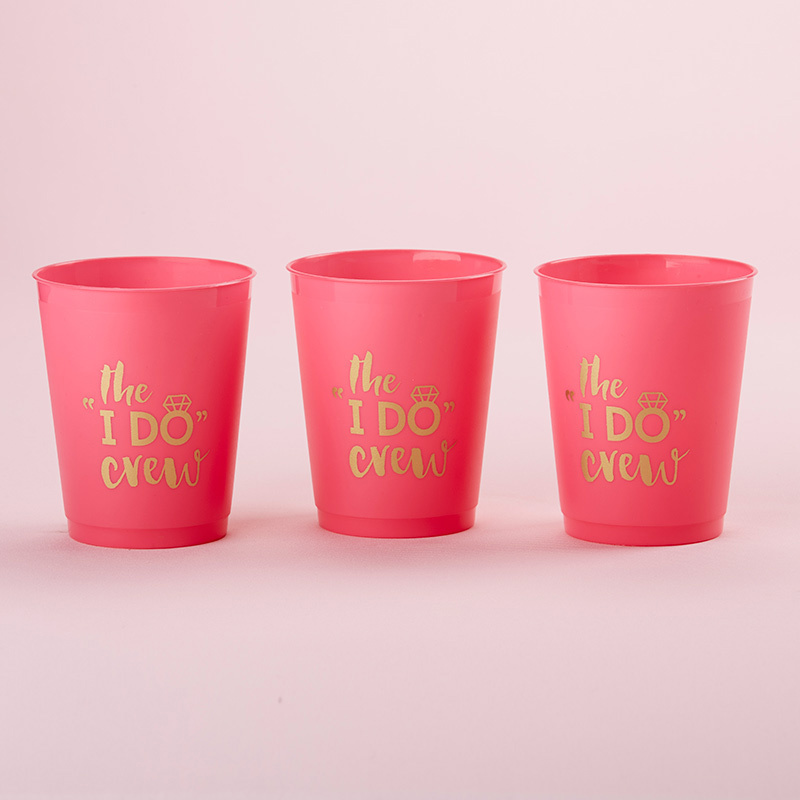 Each cup holds approximately 14 oz. of any favorite beverage! 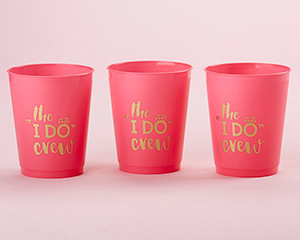 Hot pink plastic stadium cup with ""I Do Crew"" printed in gold on both sides of the cup.